Last Thursday was special in the LRC because we hosted games and a book giveaway as part of the World Book Night 2015 celebrations. The theme was linked with our choice of giveaway book ‘Water for Elephants‘ which is set in a circus during the Great Depression. So we enjoyed cream soda and lemonade, popcorn and pretzels. We also had a crazy/fun tie dress-up theme to transform us from being plain rubes. We had 10 circus-themed activities with 3 spot prizes for fast completers of the activities. These prize-winning activities were the reorder the stories, recommend a book on Padlet and word jumbles. If you received a copy of ‘Water for Elephants’ from us and fancy another chance to win a prize here is a short survey you can complete. We have more copies to give away too so please do not hesitate to come in and ask us for the elephant book if you missed out on the 23rd April. 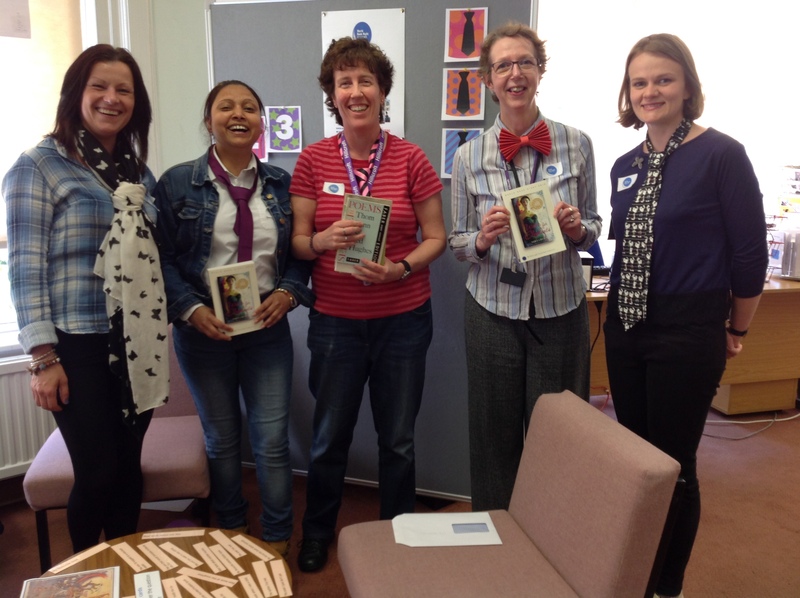 Let us know if you enjoyed World Book Night or have any suggestions to other events we could celebrate. Big thank you to everyone who got involved and to the The Reading Agency for granting us permission to be official book givers. We also got third prize in the Customer Service category for our Virtual Learning Environment (VLE) Redesign and Dyslexia. For this project we worked with students, tutors and colleagues inside and outside our college to create a dyslexic-friendly look to our VLE, with a user-friendly course content template and accessibility plugins with read out loud and overlay features. Read CoLRiC’s press release to find out about other winners. Many thanks to our students, staff and colleagues on working with us and inputting to our award wins. 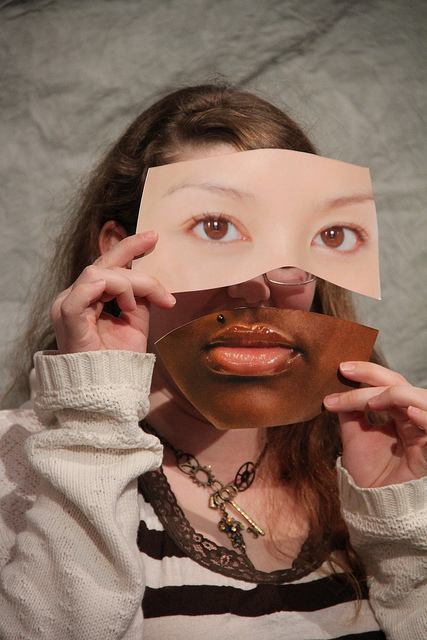 “Diversity Mask” by Spiva Art Workers is licensed under CC BY 2.0. Some eye-opening statistics came out in the Writing the Future report saying that publishing companies are not at all diverse when it comes to the books they publish. Not only are there fewer books published by people from Black, Minority and Ethnic communities, but writers are being told to stick to the stereotypes. This means authors are encouraged to write characters of non-white ethnicity that are supposedly more marketable to white people. 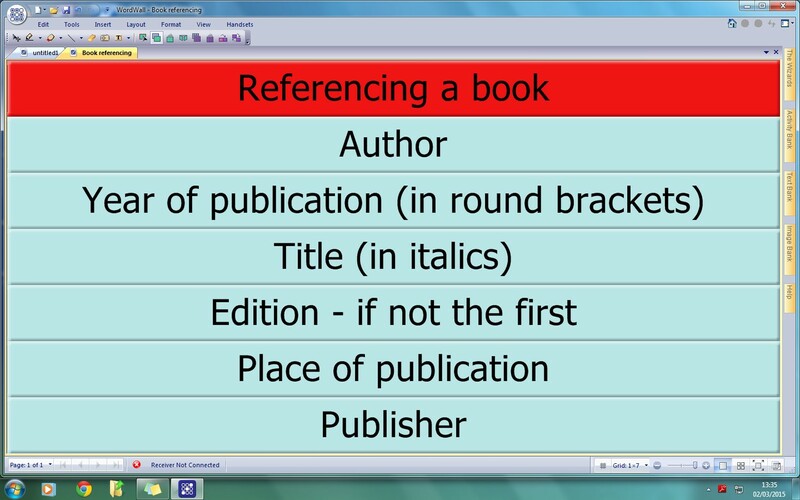 In the LRC we have resources that reflect a wide range of backgrounds and cultures. Through their writing, authors (no matter their race) shed informative, inspiring and surprising light on aspects of the world and people’s lives. On Fridays we also receive the print issue of The Voice newspaper focusing on British-African news. You can find this on the rack near the issue desk. If you have any suggestions about a non-stereotypical story or resource that others might benefit from reading please let us know in the comment box below. 14 April is the 70th anniversary of the death of Anne Frank. Many of you will already know Anne and her family hid from Nazi occupiers in Amsterdam during World War II until they were found and sent to concentration camps. During her period in hiding Anne kept a diary which was published after her death. Each year the date is usually marked by a minute’s silence but this year is different. The Anne Frank Trust and her publisher’s Penguin Random House are inviting people to mark the date by reading an extract from her diary for one minute while recording it and then uploading it to YouTube or Tumblr. Once it’s uploaded you then need to promote it on social media by posting the link to the Anne Frank Trust Facebook or Twitter sites. Afterwards promote your video to everyone in your social network. If you don’t have access to social media you can send your video to the Anne Frank Trust siama@annefrank.org.uk instead. If you’re not sure which piece of the diary to read there are some suggestions to pick from on the Trust’s #notsilent page which you can download. You might want to do your reading on your own, in a classroom or as a group. 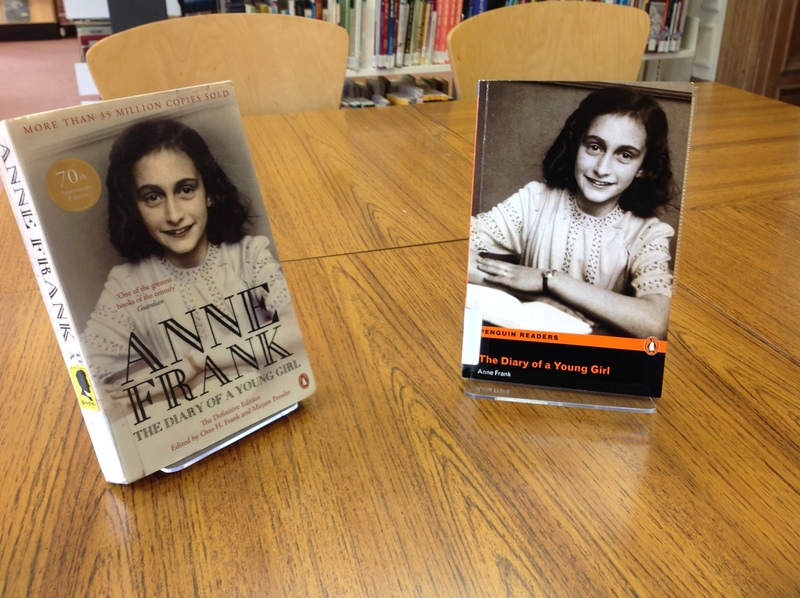 We’ve got a copy of the The Diary of a Young Girl in our Learning Resources Centre and we’ve got a graded reader version Diary of a Young Girl – Anne Frank. There’s also a film version Anne Frank directed by Richard Dornhelm starring Hannah Taylor Gordon and Ben Kingsley. If you’re close to London why not sign up to attend the #notsilent event at the British Library from 930-1030? There’ll been 10 readings from Anne’s diary with refreshments. Contact Siama Khan on +44 (0)20 7284 5858 to book a place. 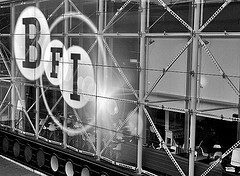 British Film Institute, BFI, South Bank London by Chris Beckett licensed under CC-BY-NC-ND 2.0. Most students in higher education are now watching videos both in the lectures and as additional learning. Often this means going to Google or Youtube but libraries also give students access to film and other media. To prepare for university-level learning, Hillcroft long course students have subscription access to eresources like BFI InView. This is a website with videos about British history. It includes Panorama TV documentary footage and archived party political broadcasts. Curated lists of videos under themes designed for students like documentaries with a range of perspectives (see different sides to history). Short introductory essays to topics written by academics who have authority in their fields (impress your tutor with your references). Rare footage not available on other video-sharing websites (information that you haven’t heard before). Tells you how long each video is (manage your time effectively). Less distraction from off-topic videos/no advertisements (manage your time effectively). Go though the Hillcroft VLE. Log in. Under the ‘Library and Learning Resources’ course page (enroll if this is your first time) go to ‘LRC eresources’ and there are links to all the resources we are subscribed to under ‘Eresources Using OpenAthens’. You could go directly to http://www.bfi.org.uk/inview/ and follow the button ‘log in via your institution’.